“I have loved my work, I have loved people and my play, but always I have been uplifted by the thought that what I have done well will live long and justify my life; that what I have done ill or never finished can now be handed on to others for endless days to be finished, perhaps better than I could have done. -W. E. B. 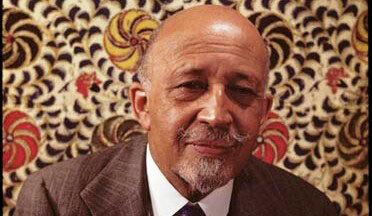 Du Bois, written June 26, 1957 with instructions to be opened after his death, which occurred August 27, 1963. This is Black History/Heritage Month. This is usually my busiest time of year, or that has become the recent trend. You see, I started out contemplating the ins and outs of contemporary Africa as a history major at Virginia State University, in Petersburg, Virginia. Then I decided to take my talents to the College of William & Mary, in Williamsburg, Virginia. It was there where I discovered historical archaeology. It was there where I discovered a practice that would change my direction, help me to focus on the history of African American people under captivity and would forever propel my toward a career where teaching, community-based research, and political and social activism would blend together. Very recently I have heard a few colleagues, friends, other folks I interact with, tell me about why they do not celebrate or promote the idea of a “Black History Month.” That the time has passed. No offense to Dr. Carter G. Woodson, but well, do we still need this short month to celebrate a history that should be a part of our lives 365 days a year? I have heard tales of these mythical Black scholars who do not give talks or participate in the “magical” month. And I hear them, I hear them loud and clear, but most years, my outreach falls into this month for a number of reasons. But, that is not what this post is about, this post is about how intense this year has been during the magical month of February. I have been seeing the results of young people who want to talk, elders who what to engage, and still other folks who want to listen, learn and laugh – in other words, this is what the movement for Black lives would see as Black Futures Month. This labor is real. The visits and talk are real. The requests for participation are real. Because, by the 2nd or 3rd of February, I was already spent. The intensity used to begin on February 1st and remain a fun-filled, jam-packed three + weeks of Blackness…and then I became Director, of the W. E. B. Du Bois Center @ UMass Amherst. I say this because now, the work starts in mid-January for Martin Luther King, Jr. Day. The ability to avoid this month is also complicated by the reality that Dr. Du Bois’ birthday has fallen on February 23rd for the last 149 years, so Black History Month and W. E. B. go hand in hand. All of this in important context, because, although its always been relatively busy for me, this year has been different. The intensity of this moment is reflected in the invitations, the questions of young folk, elders and all in between. There is a thirst for conversation, discussion, and knowledge that has left me a bit exhausted. When I visited my daughter’s 2nd grade class, led by Mrs. Katie Thurston, in January at Pelham Elementary School to talk to them about W. E. B. Du Bois, I was met with excitement, interesting questions, and the faces of children excited to learn about the past, but invested in learning about the life of W. E. B. Du Bois. It felt good, yet I was generally surprised. 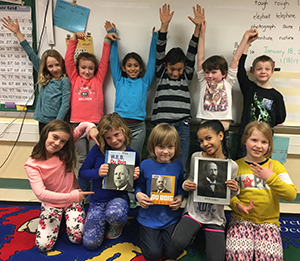 Later at the beginning of February, that same 2nd grade class celebrated a unit on Civil Rights and Social Justice and invited parents and friends to come and hear groups of students present posters of six important African Americans. I was proud to hear each of the children and the groups. A few days later, I went to my son’s Kindergarten class for the Pelham Elementary’s Black Heritage Month Read-In. Where parents, grandparents, cousins, siblings, and members of the community came in to read different books about African, Caribbean, and African American history and culture. I was able to read to my son’s class and again, surprised at the interaction and dialogue of small 5 and 6 year olds. I could see the connections that were being fostered by their teacher, Mrs. Nettie Harrington Pangallo, it was amazing. However, this was the second time I was able to visit. The first time was to share artifacts from the W. E. B. Du Bois Homesite and talk to the children about the life of Dr. Du Bois and a little bit about historical archaeology. Talking about what I do to such a young group of students interested in the very idea of an artifact, helped me to remember why Black History Month and my work are related. Yet, I also realized, quickly that I was a Black archaeologist exposing them to my craft at early enough, so maybe, just maybe, their first memories of what archaeology looks like will be W. E. B. Du Bois and me, Dr. BB, not Indiana Jones. Next stop, my oldest son’s 5th grade class at Wildwood Elementary, for their Black History Month Read-In. My husband, Dr. Trevor Baptiste and myself where there to read the words of Dr. Du Bois to the students. 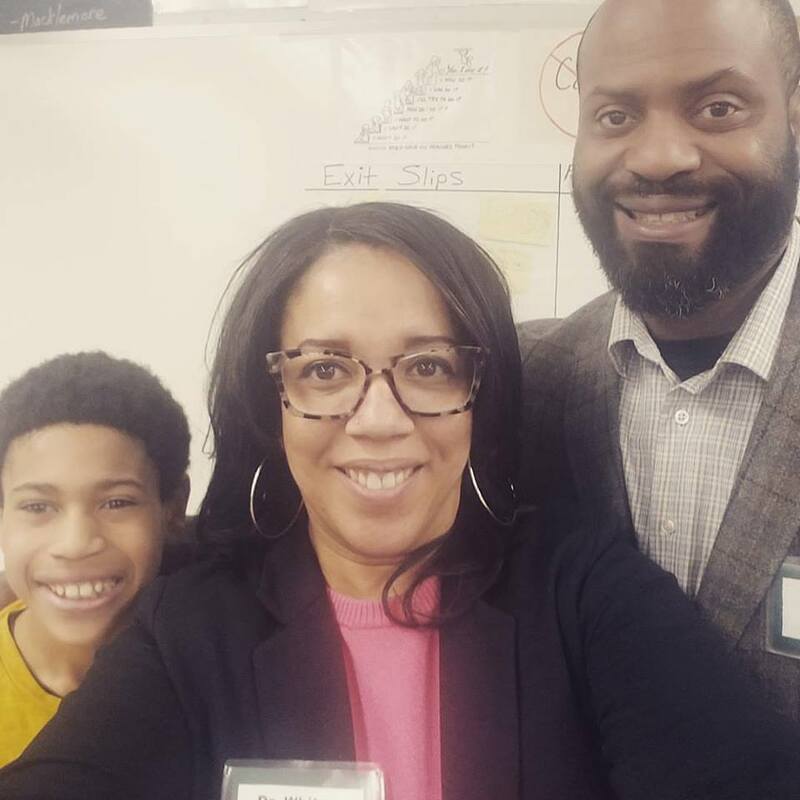 Yet, what was more powerful happened in the moment when these two Black folks with PhD’s behind their names were sitting in front of the class and sharing and talking and laughing with the students – during, yes, Black History Month. My husband a PhD in Research Science/Biochemistry, me in Anthropology/Archaeology ended up staying for another 3o minutes talking to the students about archaeology and artifacts and a lot of other topics related to digging stuff out of the ground. This Black History Month thing has taken on a different meaning when it was directly related to my children and their relationship with the past through the eyes of their parents. But, I am the Director of the W. E. B. Du Bois Center and I am on a college campus, so I had to bring some labor to my own work home. I had been hearing about some of the discord/disconnection among students of African descent and their relationship to Black History Month. I was and was not surprised. 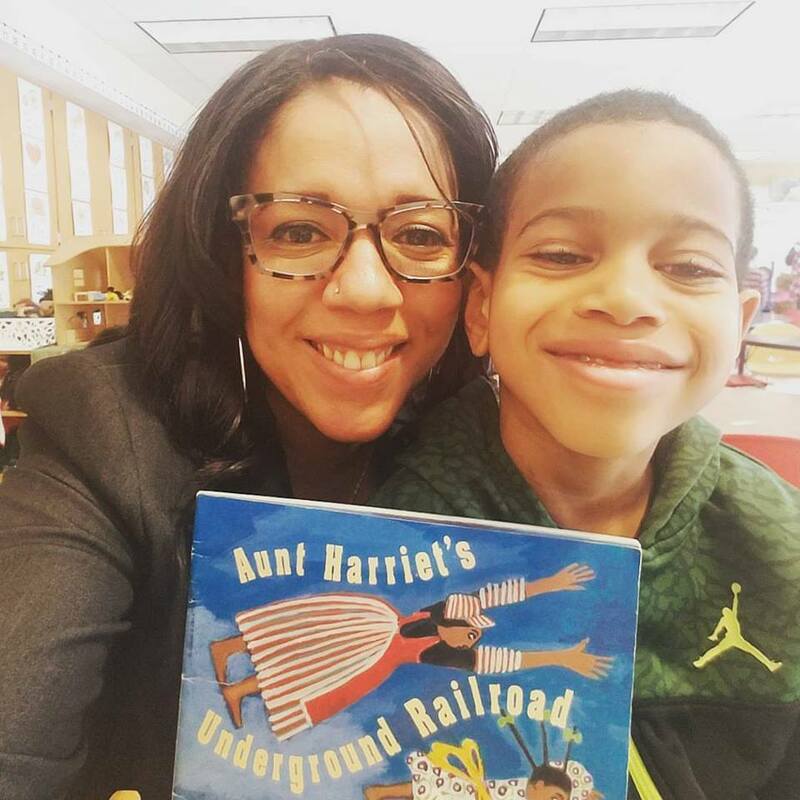 There is a delicate balance between our expectations as professors, how we help our students to understand the historical past in general, and the way we connect on the everyday level with students that look like us. When you write your scholarship and read books and try to work through theories and concepts, you often lose site that much of your work is for folks with the same degrees and qualifications as you. Yet my students have no connection to the history of activism on their campus, the role that Black History Week played for folks living and breathing under the yoke of Jim Crow and racial and economic oppression. So, there was a need, a different sort of meaning for Black History Month at UMass Amherst in February of 2017. 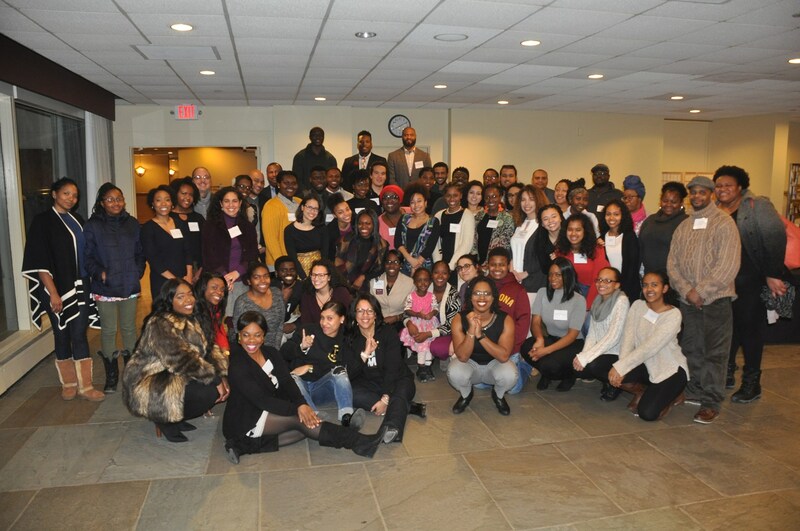 So, some amazing folks across campus, from CMASS, the Du Bois Center, and students activities organized a dinner or what came to be known as, “a seat at the table.” We wanted to sit students down with staff and faculty and connect as family does, in truth and with good food. The energy in the room was electric, its the kind of energy you want from your students as you impart knowledge of all things they have never hear, but better. The conversations at each table were genuine. Each event I have participated in, I have given my all, because I wanted to. That thirst and intensity I spoke of earlier was contagious. I am grateful that I chose not to take a pessimistic view of the magical, mythical month of February, and took the time and effort to infuse my hopes and dreams into those 28 days. It was worth it. I remembered the relationship between education, Black History, and the power of being present in the moment and seeing Black love and Black people as a revolutionary act. And most of all, I valued the time away from reading book after book, checking the next citation or source, or the daily grind of research and course preparation. It was honest. It was encouraging. It was truly a labor of love.